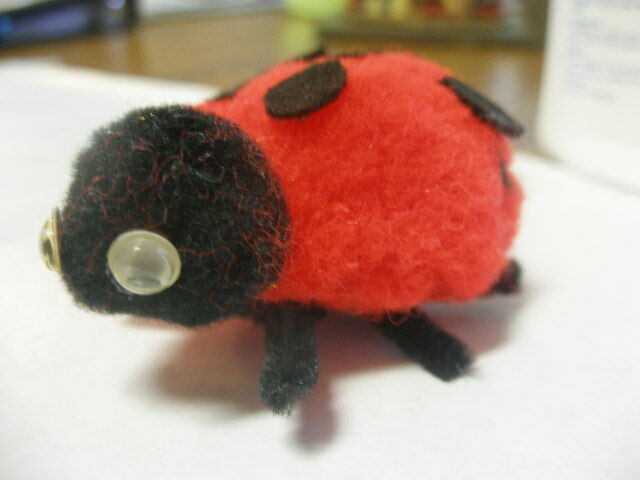 Pom-pom Ladybugs… | Who Are You Calling Crafty? Cut out eight little circles out of the black felt. 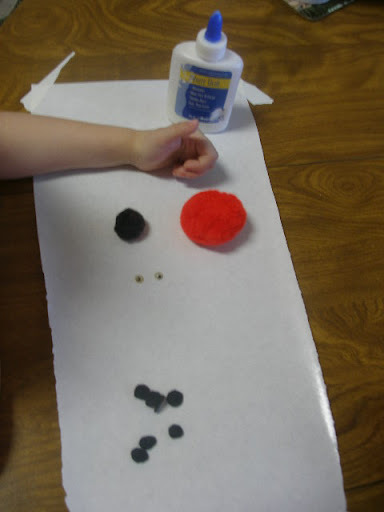 Glue the black felt circles on to the red pom-pom. Take the googly eyes and glue them on to the black pom-pom. Glue the black pom-pom on to the red pom-pom. 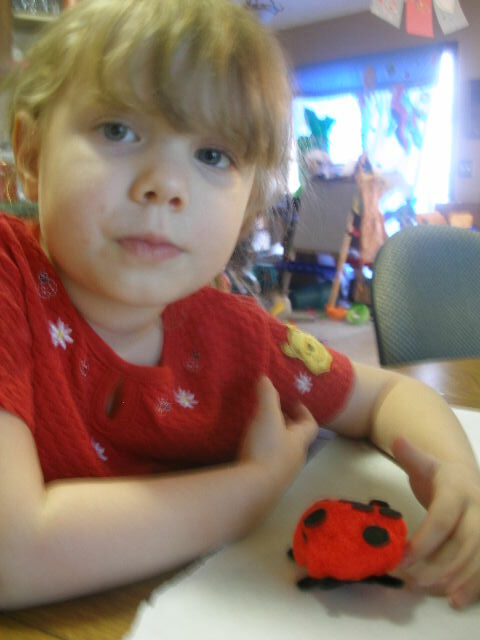 Flip the Ladybug over and cut 4 – 2 1/2″ piece of pipe cleaner. Place one piece in the center and twist the three pieces horizontally across. Glue the legs to the bottom of the Ladybug. 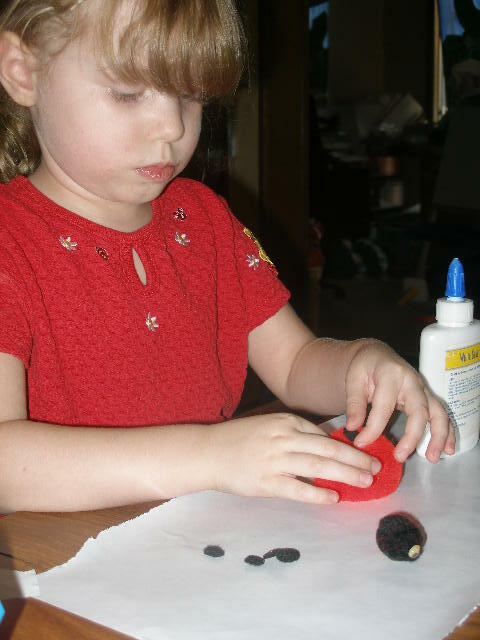 Let dry and you have a Ladybug! Getting a little frustrated with mom and all her picture taking.